From the Lannister siblings to the remaining Starks, “Game of Thrones” is primed to reunite characters throughout Westeros in season seven. One such reunion will presumably be Arya Stark and the Red Woman, Melisandre. At the start of season six, Arya and Melisandre were separated by the Narrow Sea. 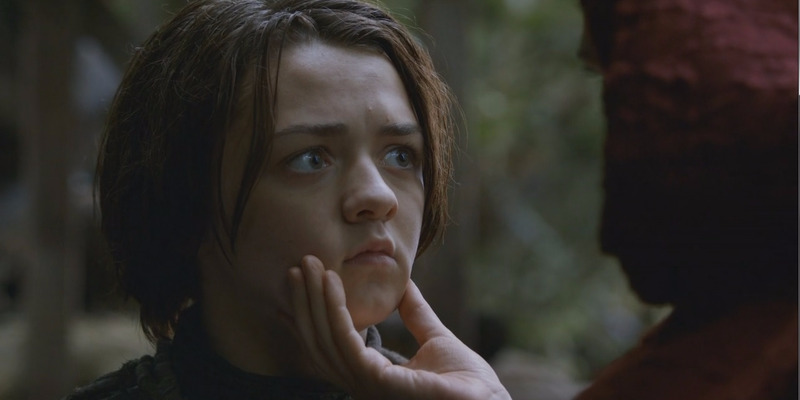 Arya was blind and begging on the streets of Braavos as part of her training to become a Faceless Man, while Melisandre was bringing Jon Snow back from the dead at Castle Black. By the end of the season, they are both in Westeros. Arya had refused to follow through with an assassination, was stabbed, survived, killed the Waif, reclaimed her identity, and started her journey home. The last episode of the season saw her at the Twins exacting her revenge on the Freys by killing two of Walder Frey’s sons, baking them into a pie, serving it to him, and then slitting his throat. Meanwhile, Melisandre was back at the reclaimed Winterfell with Jon Snow. Ser Davos learned that Melisandre burned Shireen Baratheon at the stake and confronted her about it in Jon’s presence. After Melisandre confessed to killing the young child, Jon banished her from the North, and she was last seen riding south from Winterfell. As Arya presumably heads north to Winterfell and Melisandre makes her way south, their reunion is imminent. 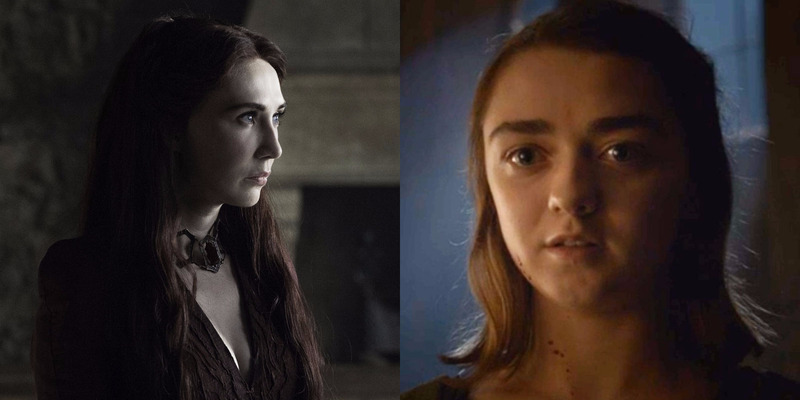 A reunion also fits in with what Melisandre predicted back in season three. HBOMelisandre seems to know Arya’s future. Arya, Hot Pie, and Gendry were captured by the Brotherhood Without Banners after their escape from Harrenhal. While with the group, they were approached by Melisandre and some of Stannis Baratheon’s men. Melisandre had come for Gendry because of his royal blood, which was unbeknownst to all of them. An angry Arya confronted Melisandre about taking Gendry in exchange for gold. During their conversation, Melisandre foretold Arya’s future and said they’d meet again. Arya: You’re a witch. You’re going to hurt him. 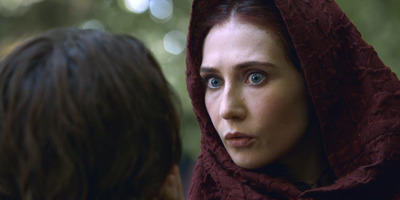 Melisandre: I see a darkness in you. And in that darkness, eyes staring back at me — brown eyes, blue eyes, green eyes — eyes you’ll shut forever. We will meet again. Arya has since killed numerous characters, fulfilling the first half of Melisandre’s vision, which leaves the second half ready to come true. HBOMelisandre says they will meet again. But Melisandre might not be safe if they meet again. Arya did add her to her kill list for taking Gendry, and she is slowly crossing names off of that list. Also, now that the Hound and Beric Dondarrion and Thoros of the Brotherhood Without Banners are wandering nearby, all of these characters could meet up once again. We anxiously wait to see what season seven brings.